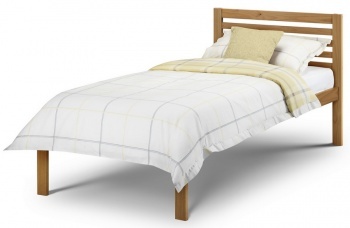 Mexican style single bed frame with solid head and foot-boards bringing warmth and charm to your bedroom. Square cut legs with shaped top and black studs add character to the piece. 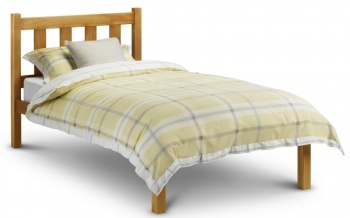 Fits a standard UK single mattress available separately. 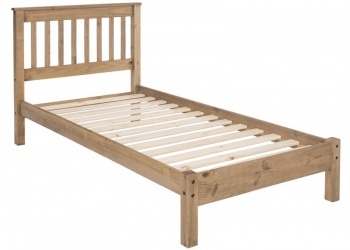 Bed slats are 7 cm wide and 2 cm thick. Flat packed for home assembly full instructions included. 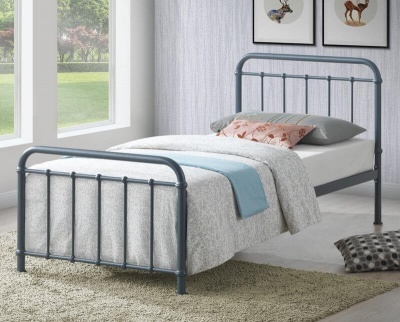 It typically takes two people 35 minutes to assembly the Corona 3' high end bedstead. Delivered in two boxes with the measurements: Box 1: H1155 W1022 D2060 mm. Box 2: H131 W2076 D194 mm. 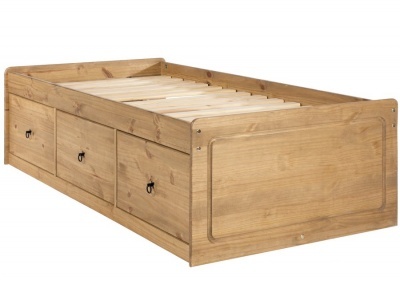 Part of the Corona bedroom furniture collection.